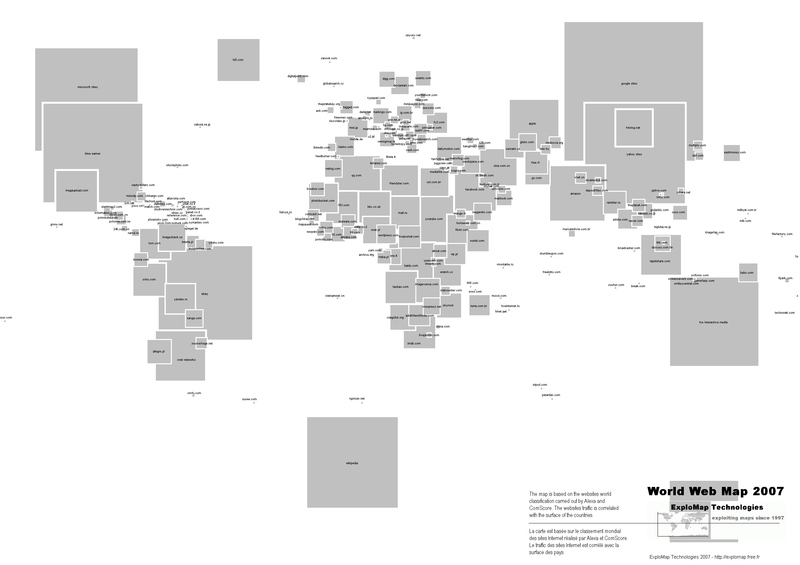 The World Web Map is based on the 2007 websites world classification carried out by Alexa and ComScore. The websites traffic is correlated with the surface of the countries. Search your preferred website ! See in Google Earth ! Please leave your comment so we know what you think about this article. Trackback URL: World Web Map.